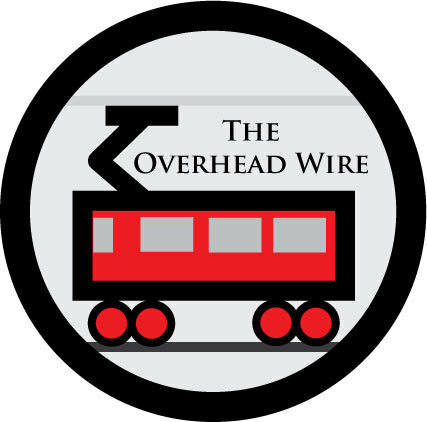 The Overhead Wire: Guest post: Why can't I find parking? Guest post: Why can't I find parking? Spend any time driving in San Francisco, and you’ll notice that there isn’t a lot of parking. Then, just before you give up and put the car in a garage, it dawns on you that while there aren’t that many spaces, there also aren’t that many parked cars. Instead, driveway after driveway chops up the curb, leaving the street space unusable. Curb cuts are everywhere, of course, but San Francisco buildings seem particularly fond of them. The obvious impact is that these curb cuts take away parking that could serve many different users of the neighborhood – residents, visitors, and shoppers, and put it into private hands. But there are a lot of other reasons to dislike curb cuts. They increase conflicts between pedestrians and vehicles, they set up hazardous situations as cars back out onto busy streets, they encourage sidewalk parking, and they can often leave a street without room for the trees and other amenities that improve the way pedestrians experience the street. Moreover, the garages they lead to take up space that could be used for a variety of things that add to street life, like storefronts or stoops. The desire for off-street parking in some areas is certainly valid. However, because there isn’t a price attached to installing a curb cut, we see the type of “overfishing” that plagues any unpriced resource, with some buildings sporting rows of 4, 5, and even more garage doors fronting city streets. Fortunately, this is starting to change - the city is soon going to start charging at least $100 per year for installing a cut, and there have also been efforts to slow new installations in North Beach. Hopefully these measures will lead to efficient use of the city’s curbsides. Off street parking makes the property more valuable, means it pays more in property taxes than a the same building without off street parking. There are better solutions, mid block alleyways for one. Off-street parking doesn't increase the value of a property more than an apartment or storefront in the same space. I'm a runner and I live in Hoboken. All the new developments are being built with garages. When the one of three or five vehicles goes to park in the garage they often don't look to see me running down the sidewalk. I almost got run over just outside my front stoop. The many garages also mean that most of the usable space of buildings is actually a flight of stairs up from street level. As someone who has had difficulty with stairs, that just makes me not want to live in SF. Plus, there's just the sheer ugliness of the building on the corner where both street frontages are entirely made up of garage doors, except for one small regular door. Definitely shows who's boss around there. Agreed that alleys are a good workaround, but your city either has 'em or it doesn't. San Francisco doesn't. As for property taxes, fair enough, though property tax assessments are a bit screwy here in California. That still doesn't address the massive inefficiency of having a cut for each car, though. Those 6 spaces are going to be taxed the same, regardless of whether they required one cut, or six. That's why there needs to be some price attached to the length of curb consumed. I lived one year in SF in the 90s and yeah this annoying phenomenon was very evident, more so than in any other city I've been. I chalked it up to a combination of a lingering devotion to the narrow, Victorian housing that once dominated, only now with a garage in every ground floor, plus a considerable amount of California Dreamin' which leaked up the coast from SoCal decades ago and still has a firm grip on the imagination of many residents (particularly newcomers). Anyway, I'd like to hear more about "alleys". I don't live in or come from a city with them; I wonder how they function? My first impression is that they take away backyard space and might pose a criminal danger if not adequately looked over? Sometimes you need both the carrot and the stick. People need to be charged for the curbside real estate. They should allocate n curb cuts per neighborhood then auction off yearly driveway rights to the highest bidders. Winners paint bright colors on their curbs and violators are promptly towed. All other curb cuts are parking spots. At one time, basements were used to store seasonal items or overflowing merchandise. But as the basement got converted into livable space, those items got moved into the garage, pushing the vehicle either out onto the driveway or the street. How many of those garages are actually used to store motor vehicles overnight? That last entry reminded me of the late George Carlin's "A Place for my Stuff", or a comment I've used many times: "Q. What do you get for the man who has everything? A. Something to put it in. And as far as parking in SF: when I drive to The City, my car stays at the motel until I'm ready to leave town, even though my usual motel is at the outer end of the "N" line. The whole article and comments speaks to superimposing modern lifestyles on a 19th Century city.